Nokia came back to the Android smartphone segment in 2017. The Nokia 2 is an entry-level smartphone that offers all of the good stuff that comes with stock Android without costing much. On normal use battery gives backup for two continuous days. Nokia 2 is basically an attempt by the Finnish smartphone maker in creating a budget smartphone. The smartphone comes with thick bezels which I really hate. If you ignore the bezels, you&apos;re still getting a nice screen for this price. Nokia is famous for their build quality and this device is no exception here. When it comes to battery life, Nokia 2 managed to give you enough battery life at this price which is amazing. If you&apos;re the type of person who wants better performance and better cameras then up your budget. Nokia 2 is a budget smartphone which comes with an affordable price tag and somewhat decent specifications. One of the basic Android smartphones. Speaking of build quality, the device is very solid. On top of that, it has an amazing battery backup. Do not expect much from the camera as it is just for the price segment, the problems with the phone are RAM and the ROM both are very low on this device and needs to be increased for a good user experience. Even though it&apos;s a budget phone, still it&apos;s hardware is top slow. Apart from the Nokia brand name, nothing about this phone is impressive. 5 Pricebaba users have written their experience with Nokia 2. If you own Nokia 2, please do leave your feedback too. Lowest price of Nokia 2 price in India starts at Rs. 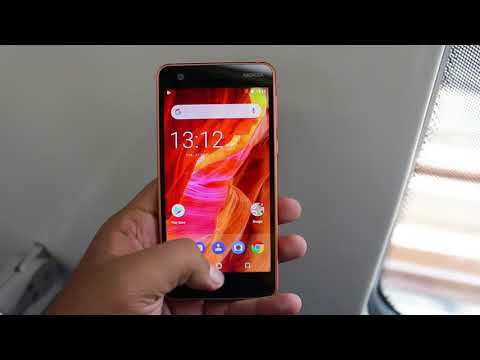 6,100 Nokia 2 is available on Flipkart at Rs. 6,690 and on Amazon at Rs. 6,100. Prices updated on 22nd April 2019. Nokia made a comeback to the Android smartphone segment in 2017. The Nokia 2 is an entry-level smartphone that offers all of the good stuff that comes with stock Android without costing much. In addition to that, this smartphone offered great battery life for people looking to use the phone as an everyday performance smartphone. In terms of design, the phone features a plastic build which feels very sturdy. On the rear side of the phone is where its primary camera and some branding are located. Up front, the phone is fitted with a 5-inch HD display having a resolution of 1280 x 720 pixels. The phone's display has a pixel density of 294 PPI and is coated with Corning Gorilla Glass 3 for added protection. As far as performance specifications go, the phone is powered by the quad-core Snapdragon 212 processor built by Qualcomm. This is mated with the Adreno 304 GPU and 1GB of RAM. The processor is not so powerful and the RAM is just enough to get you through light use as well. The phone is not suitable for heavy use or gaming. If you are looking to use the phone primary for calling and messaging purposes, this phone will work just fine. As far as storage is concerned, the Nokia 2 comes with only 8GB of internal storage which can be expanded up to 128GB through a microSD card. As far as optics are concerned, the phone packs in an 8-megapixel primary camera located on the back accompanied by an LED flash. The camera is capable of capturing videos in 720p. Up front, the phone is fitted with a 5-megapixel front-facing camera. This camera will be work just fine for capturing decent quality selfies and video calling. On the software side of things, the phone runs a close to stock Android experience which is free of bloatware. Out of the box, the phone runs Android 7.0 Nougat. The Nokia 2 is expected to be updated to Android Oreo in the coming months. In terms of connectivity, the phone checks all the right boxes and offers support for up to 4G VoLTE and below. It also allows for connectivity through WiFi and Bluetooth. On the bottom of the phone is where a micro USB port is located for charging and data transfer. Speaking of charging, the phone draws power from its large 4100mAh battery which should last the phone up to 2 days of use on a single charge. Ans: Thankfully, Nokia has not included a Hybrid slot with this phone. You can use two SIMs and a microSD card together. 3. Will this phone get further software updates of Android? Ans: This phone runs on a very close to stock Android user interface. Nokia has therefore promised updates for this phone to Android Oreo. Ans: The 4100mAh battery on this smartphone is not user removable.